We were sitting in ‘The (other) White House’ (a pub in Bladon & burial place of Winston Churchill) this afternoon and AMAZED to see the great man himself walk through the door – You can imagine our surprise when he ordered a pint of San Miguel and joined at the window seat overlooking the church. This was the first we (four local Brits) had heard of Randy Otto and were soon enthralled by his fascination of WC, his superb impersonation and amusing stories. We spent a most amusing hour talking to Randy who had just been on a tour of Blenheim Palace only stopping for a pint before heading for what would only have been an emotional visit to the Churchill family grave. We hope you enjoyed the rest of your trip Randy and please let us have your e-mail address as I have a couple of photos to send you. Thank you for taking the time out of your whistle stop tour to have a chat with the locals. I was a pleasure to meet Randy at Blenheim Palace, England today. The birthplace of Winston Churchill himself!! 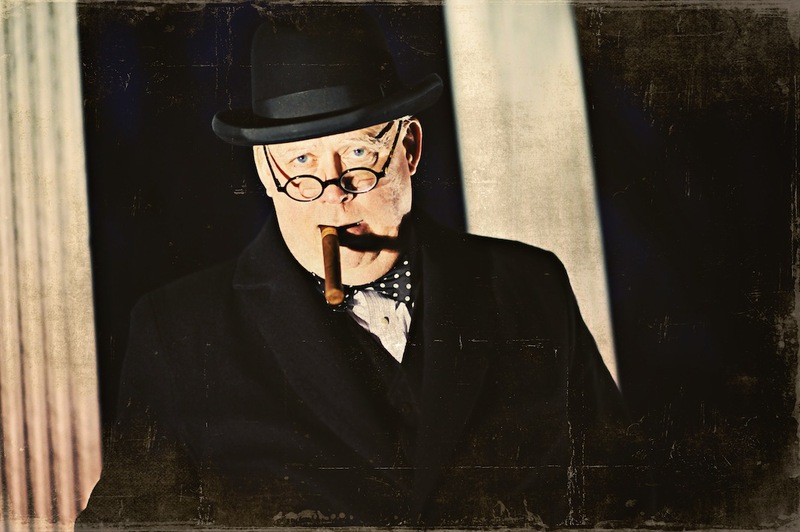 A true gentleman and an excellent portrayal of Sir Winston. My family enjoyed the walk we had with him chatting about Wisconsin, his home state and a place where we are visiting friends next month!!! Great times.